Through the development of a body suitable for bujutsu, forging it in a manner according to the principles that are the foundation of bujutsu, absorbing and learning how to use the body through contact training and finally through the never ending cycle of experimentation/innovation we seek to create a core within our bodies that is “Jutsu.” That, simply put, is what Tanren is about. 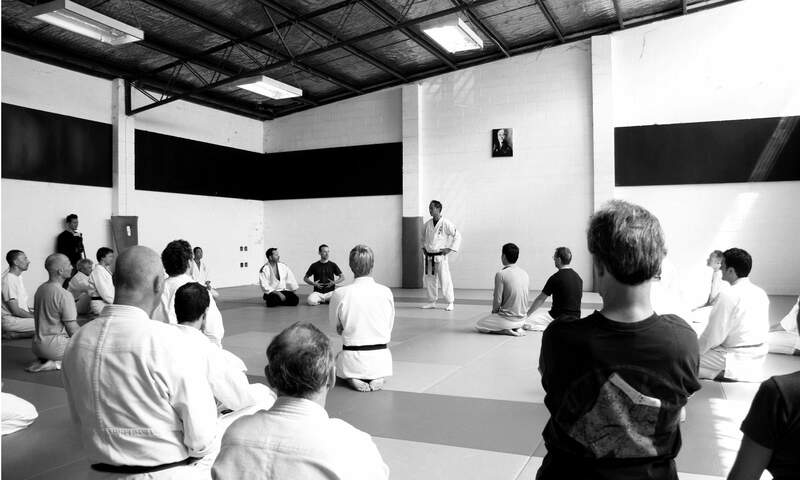 The so called “wisdom” gained through the training of bujutsu is the ability for individuals to naturally adjust to whatever environment or circumstance in which they find themselves. This power, I feel, is the true essence that lies at the core of bujutsu. There are many different interpretations of what strong and weak are in Bujutsu. However, for techniques to be effective in reality there is much solo training and experimentation needed to acquire the intuition necessary. To grasp the principles and essence requires many hours of experimentation and innovation. “Strong” or “weak” are merely results (or lack thereof) of a work in progress.